Review: Ignore the Original, and You'll Enjoy "Arthur"
PopcornBiz Takes a Butler to "Arthur"
For the second time in eight days, Russell Brand stars as the scion of a wealthy family who isn’t interested in the attendant responsibility, and prefers instead to follow his heart. Here’s hoping Brand exorcises these demons quickly. Last week, Brand lent his voice to E.B., the Easter Bunny in waiting in “Hop.” This week, he stars as “Arthur,” in the remake of the 1981 film that earned a Best Actor nomination for Dudley Moore, a Best Supporting Actor trophy for Sir John Gielgud and a mountain of awards for its easy-listening soudtrack. This version of “Arthur” is compromised in deference to our era’s more enlightened view of alcoholism, and Brand doesn’t play the drunk fans have come to expect. What we get instead is a decent, if unremarkable, romcom. The best way to enjoy “Arthur” is to set aside your preconceived notions of Russell Brand and the original film--which is admittedly a tall order. Many consider the original hallowed ground, but if you’re going to reprise the role of besotted man-child, Brand would seem the perfect choice—it’s an act he’s been honing for some time now. After years on the margins of fame, Brand broke through with his scene-stealing turn as rocker Aldous Snow in “Forgetting Sarah Marshall,” which was so loved it spawned the spin-off “Get Him to the Greek”--in which he also played a man with some serious parent issues. 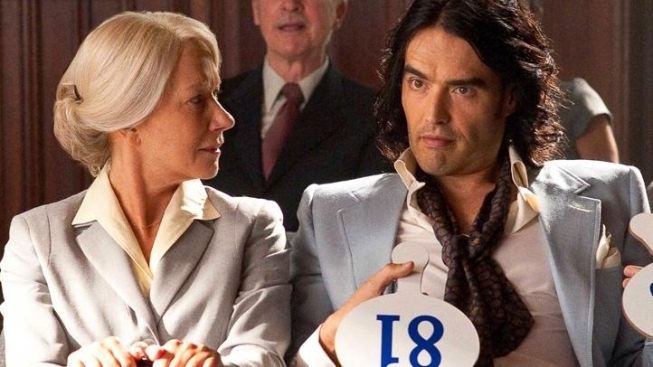 Russell Brand takes on the role that earned Dudley Moore and Oscar nomination, playing a spoiled overgrown brat who gives up the family fortune when he refuses to marry the woman they've chosen for him. Co-starring Helen Mirren, Greta Gerwig, Jennifer Garner and Luis Guzman, the film opens April 8. But Brand doesn’t play the full-on unrepentant lout you might hope for. No, Brand’s take is a sincere and tortured soul. And to his credit, Brand handles the film's more dramatic and serious scenes quite well. It’s Greta Gerwig, slowly working her way up to the Hollywood food chain, who brings “Arthur” the spark it needs. Gerwig, the erstwhile mumblecore It Girl, has a presence and smile that are electric. Even draped in the most hideous of ‘80s bargain-bin fashions, as she is here, her wide-open eyes commands your attention, and lend the proceedings a level of depth that would otherwise be lacking. 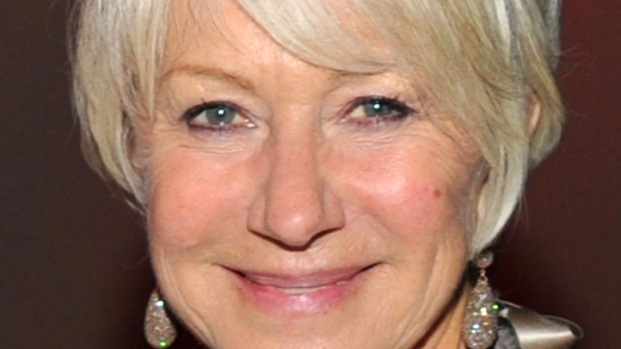 The great Helen Mirren plays Hobson, Arthur’s nanny since he was a little boy. But for reasons that aren’t clear, the role of Hobson is watered down significantly. Where Gielgud’s Hobson was firing off droll barbs at every turn, Mirren’s Hobson is, like Brand’s Arthur, more restrained than the original and, so, less fun. Helen Mirren Had "Incredible Fun" With "Arthur"
Russell Brand, Jennifer Garner and Greta Gerwig also chat about the comedy at its New York premiere. In real-life, Brand’s mother was constantly battling one form of cancer of another, and has father was usually absent, though once took him to visit a prostitute. Throw in some eating disorders and substance abuse, and Brand comes by his emotional baggage honestly. Watching him play it up for laughs for a few years was a lot more fun than watching him wrestle with it.